I’m guest teaching at Athleta in Walnut Creek this Sunday, September 11th 9:30-10:15am. 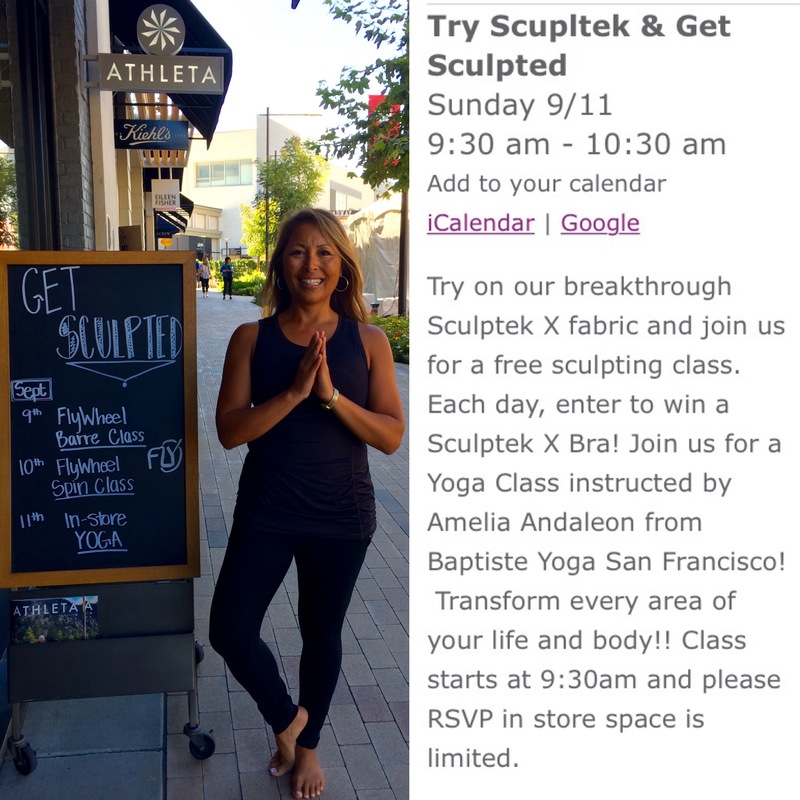 Join me for this fun, and free, community yoga class as part of their Sculptek celebration! 🙏 . Space is limited. RSVP is recommended by calling Athleta at 925-588-0227. This entry was posted in yoga, yoga in the east bay, yoga in walnut creek and tagged alamo, amelia andaleon yoga, athleta walnut creek, baptiste yoga, bay area baptiste yoga, broadway plaza, community yoga, concord, danville, east bay, east bay yoga, free yoga, free yoga class, lafayette, orinda, remember september 11th, sacred sunday, san ramon, september 11, spiritually fit yoga, vinyasa yoga, walnut creek, yoga. Bookmark the permalink.